Garrett Whitelock makes the whole process of finding and buying a property in SE1 and the surrounding areas as straightforward and hassle-free as possible. Buying a home is one of the most important purchases you will ever make and whether you are a first-time buyer or looking to trade up to a larger home, hoping to downsize, or planning to invest in a buy-to-let property, we are here to help you every step of the way. Before starting to look for a property to buy, it's imperative to get your finances in order and have a clear idea of your budget. If you find your dream property but don't have proof from a lender that you can secure the necessary mortgage, you could lose out to another buyer in a stronger position, and it could all end in tears. Garrett Whitelock has close links with a number of trusted local independent mortgage brokers who would be happy to offer you any help and advice you may need. If you have a property to sell in SE1 and the surrounding areas that will help finance your purchase, and you would like Garrett Whitelock to value your current property, please don't hesitate to get in touch. It's also a good idea to make a list of what you're looking for. How many bedrooms do you need? Is outside space a priority? Do you need a garage or car parking space? What transport links do you want to be close to? It's also a good idea to consider which of these criteria are set in stone, and which are more flexible. Once you have a clearer idea of exactly what you're looking for, pop into our office, call us on 020 3318 5532, or register and we will give you the details of all available properties that meet your criteria. We will also continuously update you via email and text alerts when new properties become available. Once you have found a property - or properties - that you'd like to view, please call our sales team on 020 3318 5532 to make an appointment. Due to the fast-paced nature of the London property market, early viewings are always recommended. 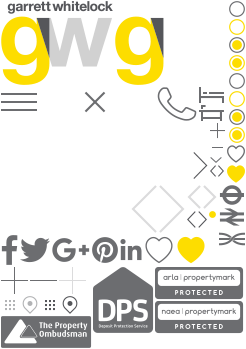 At Garrett Whitelock we accompany all viewings so that we're on hand to answer any questions you may have about the particular properties you're interested in. Our office hours are Monday to Friday, 9am - 6:30pm, and Saturday 10am - 4pm, but we regularly conduct viewings outside these times to suit the needs of our clients. Once you have found a property that you'd like to buy, you can make an offer, stating any particular conditions, which we will put forward to the vendor for consideration. After any negotiations have taken place, hopefully your offer will be accepted. At this point, we will ask you for your solicitor's details in order for your purchase to proceed. We will also prepare a memorandum of sale and send it to all parties involved, to confirm what has been agreed. To avoid any unnecessary delays, you can check the status of your prospective purchase at any stage in the process using Garrett Whitelock's free online service, My Property File. After you've sent off your mortgage application (if relevant), the conveyancing process begins. This is the process of legally transferring the property from one person to the next, and is normally carried out by a solicitor, although you can do it yourself (this is only advisable if you know what you're doing). Your solicitor will act as an intermediary between you, the mortgage lender and the seller, looking over any contracts on your behalf. They will also deal with the Land Registry, sort out Stamp Duty Land Tax and organise for your funds to be transferred during the sale, as well as check for any structural risks, such as subsidence, following a survey of the property. (There are two types of survey in addition to the valuation that your mortgage company will insist on: a HomeBuyer Report, which should highlight any urgent repair work needed, and a full Building Survey, recommended for older properties or buildings of 'non-standard construction'). Once any surveys have been completed to your satisfaction, you've received your mortgage offer, you have sorted out insurance for the property, and the rest of the paperwork is in order, you're ready to exchange contracts and move in. Upon exchange of contracts, you will be asked to pay a deposit, which is non-refundable should, for any reason, you pull out of the purchase after exchange. Upon exchange of contracts, you will agree a completion date, which is the date when you legally become the new owner of the property. On this date, once the outstanding funds have been transferred by your solicitor to the vendor's solicitor, you will receive the keys and move into your new home. At this point, you will need to read the meters and contact the utility companies to inform them that you have moved in, as well as contact your preferred telecommunications company and the local council for Council Tax purposes. I purchased my first flat through Garrett Whitelock and was very impressed by their service. I was very nervous about the whole thing, but they made the whole process simple and I felt completely at ease. They kept me updated every step of the way and told me what to expect. Thank you so much! I have just completed a purchase with Garrett Whitelock and I found them to be very easy to deal with, upfront kind of people. None of the usual spiel, and I felt the answers they gave to my questions ? I had plenty! ? were honest and genuine, instead of being designed to get me to sign on the dotted line. I highly recommend them. ?